So you have an M6 Convertible. But 500hp and 383lb-ft of torque just isn't quite enough for you. Even more so, the styling of the regular M6 is just that of every other M6 right? Well, now G-Power has given us the ability to soup up our favorite exotic grand touring vert. 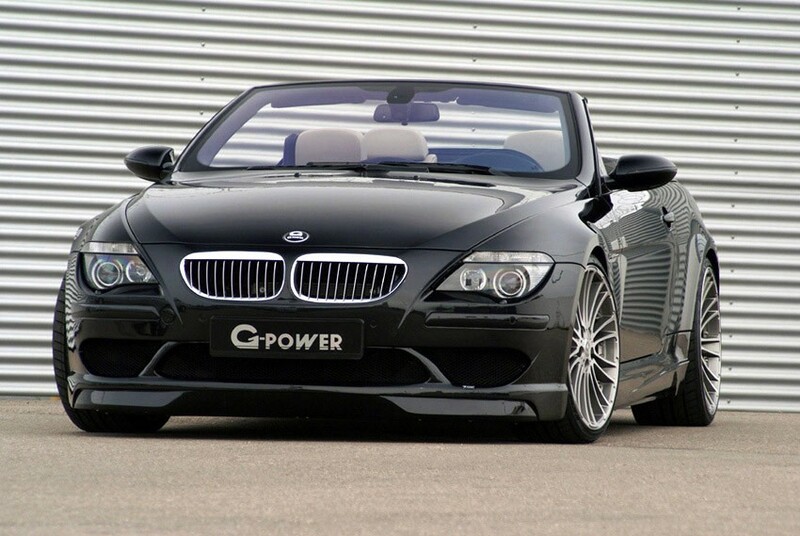 G-Power is offering now a twin-supercharged addition to the regular M6 cabrio, called the Hurricane Drop-Top. I'll tell you one thing, there will be a damn hurricane amount of wind rushing past your car with how much this bad boy puts out in power. How much you ask? Let's try 635hp and 469lb-ft of torque with 6 psi boost from the twin-chargers. Yes, you read that right! I think it will possibly crack the sound barrier too… Well, okay, maybe not, but how does 200 MPH sound for a top speed? Is that enough for you there Speed Racer? I would say it is for me. The greatest thing about the new Hurricane M6 is that it won't break your summer bank account much at $283,304.51 (that statement is dripping with sarcasm, in case you didn't know). Let's all run out and get one right now, shall we? All kidding aside, this is one mean looking M6 with the amount of power that it has, and even more so with the nicely done body kit. 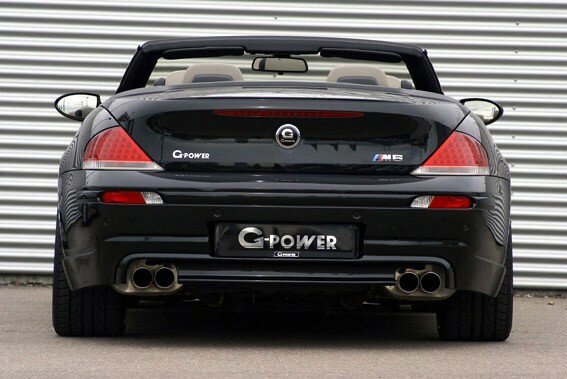 It wouldn't be a G-Power if it didn't scream "power!!!"